Lou Ana Cinema Gold Buttery Topping, 1 Gallon -- 4 per case. 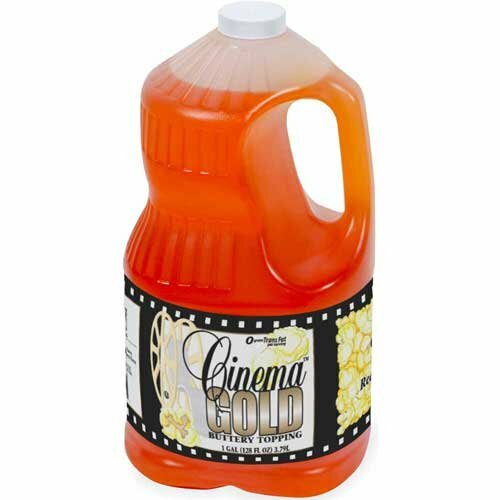 Cinema Gold Buttery Topping Oils Are Cholesterol Free, Kosher Certified And Processed Within Strict Specifications For Consistent Quality Flavor, Aroma And Performance. If you have any questions about this product by Ventura Foods, contact us by completing and submitting the form below. If you are looking for a specif part number, please include it with your message. Ventura Foods Classic Gourmet Reserve Country Honey Dijon Salad Dressing, 1 Gallon -- 4 per case. Ventura Foods Hidden Valley Original Ranch Dressing, 1 Gallon -- 4 per case.